For Alicia Hauff, music photography in her teen years was simply a means for the Spokane native to get into shows without having to pay the cover charge. 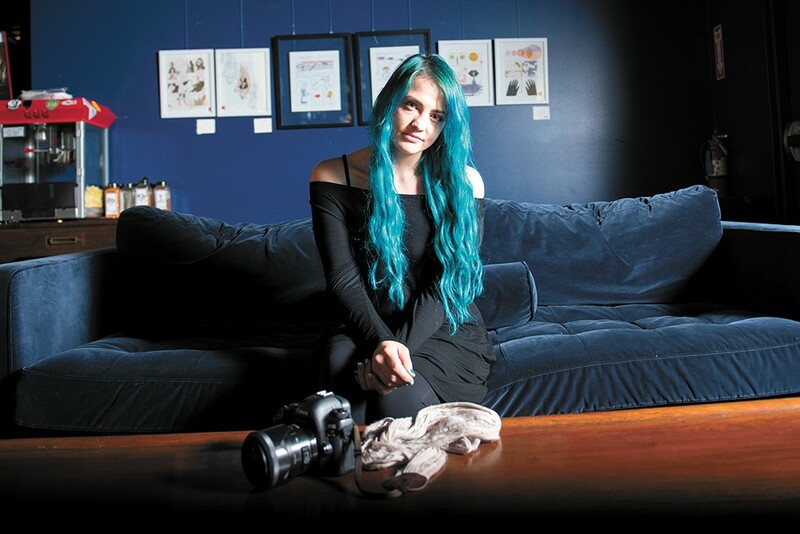 Now, as a 31-year-old mother of two, it's made her a high-profile figure in the local scene despite her diminutive stature, shooting local bands' publicity images and shows at basically every local venue for nationally touring groups and Spokane artists. Hauff had largely given up music photography by her late teens, but she later developed a more traditional (and ongoing) photography business shooting portraits, weddings and high school seniors. Then a few years ago she watched the Dirty Heads' videographer do his thing at a concert in Montana, and the seed was planted to crank up her rock photography again. "I watched him most of the time versus, you know, the show, and I thought, 'Man, he's killing it. I want to be doing that, like, right now. I don't want to be on this side of the barricade, I want to be working and experiencing it that way,'" Hauff recalls. Having been out of the local scene for so long, it took Hauff a while to meet people and network, but once folks started seeing her skills behind the lens, she quickly became an in-demand photographer. Now, just three years after getting back in the game, the challenge is juggling music shoots at night, traditional shoots by day, road trips or flights to shoot for nationally touring acts, and of course "normal life" with those two kids. "I am constantly on the move, going nonstop, and I do the business portion all by myself," Hauff says. "I don't have any assistants or anything. So I do struggle with the demand." As she's traveled more to do photos in Portland, Seattle or California, Hauff's noticed an increasing number of women next to her in the photo pit, and elsewhere. "Women are really coming up in the concert photography [business] on a lot of these big tours," Hauff says, noting that there are still occasional old dudes who try to push her around, but less than the old days. "And as I've gotten into this, there's so many women in the music industry as far as tour managers, production managers, people like that are running the show. It's interesting, and kind of cool to see." The original print version of this article was headlined "ALICIA HAUFF"